A great Korean movie. 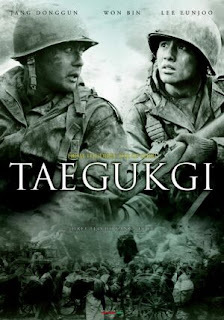 It's about two brothers during the Korean War. I won't tell more about the move. You must see it. It made me cry, for real. The only thing you have to watch out is that it's a two hours and a half movie, so keep this in mind and take your time to watch it. Oh, and it's very harsh and a lot of bad words... but you must understand that it's a war movie and it was conceived to be realistic.